i own lots of pants. Kridla	Kridla added Little Poundcake as a friend! pondicherry ? pondicherry ? added Little Poundcake as a friend! Aww I will be busy then :/ I guess I will miss the very end. Thank you for the notice! Now I know how much time I have for one last romp through the wardrobe! Thank you for keeping us in the loop up to the bitter end! Thank you, LP- you guys are amazing. 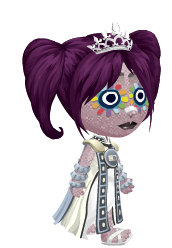 Eris Lord Freedom	Eris Lord Freedom added Little Poundcake as a friend! camicami	camicami added Little Poundcake as a friend!